Does Co-Washing Really Clean Your Hair? Over the past few years, co-washing or washing with conditioner has become a popular practice for many naturalistas as a gentler way to clean their hair. While the main purpose, in the beginning, was to stay away from strong surfactants that leave our curly hair dry and strip all the natural oils from it, now there are gentle shampoos and I question how effective is a cleansing conditioner or a co-wash, do they really clean the hair? I’ve tried the whole co-washing thing for about 2 weeks with Tresemme Naturals, and I have to say it was just not for me. I never really felt that my scalp and hair were properly cleaned and I believe this was a failed experience for me because a conditioner alone was not cleansing enough to remove all the sweat and dirt from my scalp since I exercise quite regularly. Nevertheless, I always believed co-washing was a perfectly valid substitute for shampoo. However, a recent periscope broadcast from a professional hairstylist made me question how effective is it to wash our hair this way. In this video broadcast, she claimed that co-washing is no substitute for shampoo. How can a co-washer effectively remove all the butters, oils, styling cremes and puddings we use on our hair? This created doubt in my mind and so I decided to search for an answer. Surfactants are the main ingredients in a shampoo, they act as detergents since they help to remove dirt and grease from the hair and scalp. These cleaning agents are also present in conditioners, but they have different characteristics. Let us look into them. 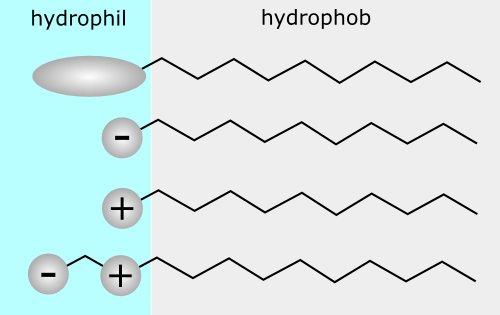 Surfactants are molecules that have two characteristics: one portion is hydrophobic (tail) and the other portion is hydrophilic (head). The former is repelled by water but has an affinity for oil while the latter is highly attracted to water. What happens is that when the hair is washed the hydrophobic part of the surfactant will attach to the oil/grease and the hydrophilic part will remain attached to water, so when the hair is rinsed out the water takes all the sebum (natural oil in hair) and dirt that is attached to it. What differentiates surfactants between themselves in their mildness and detergency or ability to remove grease from hair is the length of the hydrocarbon present in the hydrophobic part of the surfactant – the part that has the ability to attach to oil/grease. The shorter the hydrocarbon chain the stronger/harsher the surfactant is. Sodium Lauryl Sulphate (SLS) or Sodium Laureth Sulphate (SLES) both have 12 carbon atoms, which is the carbon length most commonly used in cosmetics. The longer the hydrocarbon chain the milder and less lathering the surfactant will be. The head of the surfactant (hydrophilic part) is what usually determines the group it belongs to like sulphates, quaternised or polyhydroxylates and many of its characteristics. This classification is done according to their ionic nature (polar group). Anionic surfactants like SLS or SLES carry a negative charge and have lots of lather and detergency. Non-ionic surfactants have no charge and are often not used because they are very harsh detergents and cause scalp irritations. However, there are a few very mild no-ionic surfactants like laureth-3 or 4 or coco glucosides present in some formulations for their thickening or foam stabilizing characteristics (more needed for oily hair formulations). Amphoteric or Zwitterionic surfactants have both negative and positive charge, they help lower irritation in formulas and increase lather. You’ll find them in baby shampoos, look for cocamide betaine or cocamide propyl betaine. Lastly, cationic surfactants have a positive charge and are mainly used in conditioners, and this is so because they also act as conditioning agents. Their positive charge attaches to the negative charge on the surface of the hair and helps smooth the surface. They are not usually used in shampoos because they can build up on the hair instead of cleaning it from oil and dirt. Some can be water soluble and others can be difficult to remove. Examples of cationic surfactants are polyquaternium-10/11/17/18 or behentrimonium chloride. Ok, Lets Recap To Be Clear! The detergency ability of surfactants depends on whether it has a long or short hydrocarbon chain on its hydrophobic part – the longer the chain the milder the surfactant – and on its ionic nature. Anionic surfactants will clean more effectively and lather well while amphoteric and cationic surfactants won’t clean as well and are less irritating to the scalp. Here is a list of some surfactants with their carbon chain and ionic nature. The surfactants with a grey background are normally found in shampoos. It seems to me that cleansing conditioners or washing your hair with conditioners can only help clean your hair to some degree, as they have surfactants in their formulas. However, most of these have long carbon chains and are cationic, meaning that they are not as effective as shorter chain anionic surfactants at removing dirt and grease from your hair. In this sense, I’d have to agree with the professional hairstylist on Periscope. 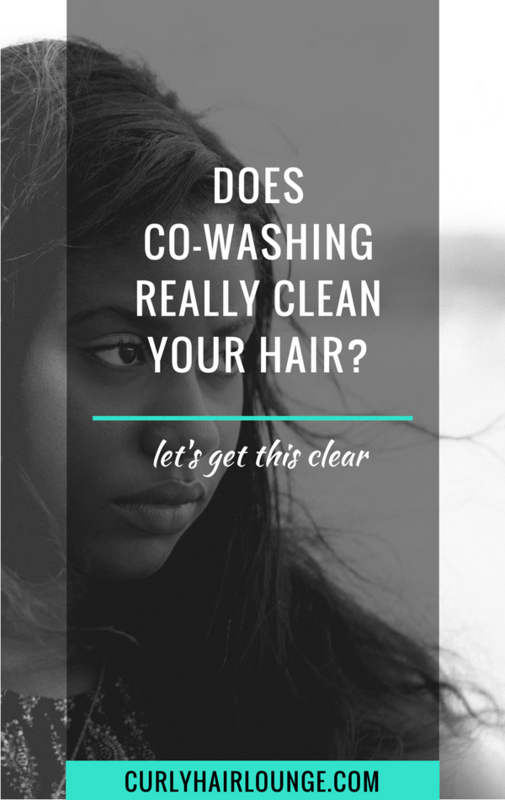 Co-washing does not replace the use of shampoo. Co-washing can provide a good level of cleanliness to your hair and scalp and also be used as a mid-week refresher or moisture boost. But, if you’re making this your sole hair cleanser then over time you might end up with a lot of build up, itchiness on the scalp or growth of microorganisms that can lead to strange odours or dandruff. Eventually, you’ll always need to include a shampoo with stronger surfactants for a more efficient clean, be it a regular shampoo, a sulphate-free or clarifying (stronger) shampoo. Many people believe that washing their hair with baking soda or including an apple cider vinegar rinse (ACV) in their washing routine will remove build-up and solve the problem. However, a British scientist, from The Natural Haven Bloom, did a small experiment and found no such evidence, on the contrary. Perhaps a better choice would be to opt for a sulphate free shampoo as your regular hair cleanser and do co-washes as your mid-week refresher. Still, clarifying your hair will still need to be included in your hair regimen. Why? You can read more about it on this post. Do you use cleansing conditioners? How do you avoid build up on the hair? 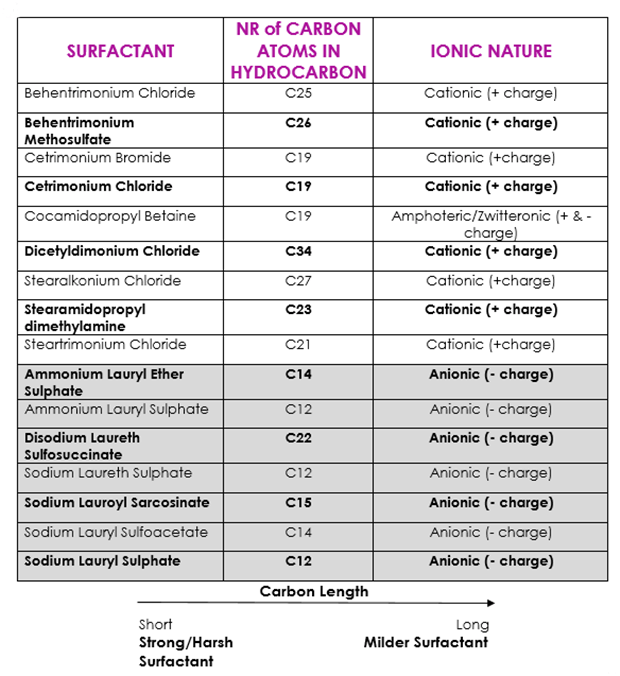 Credits: Surfactant Classification image was taken from Wikimedia Commons, author Roland.chem under Creative Commons License.